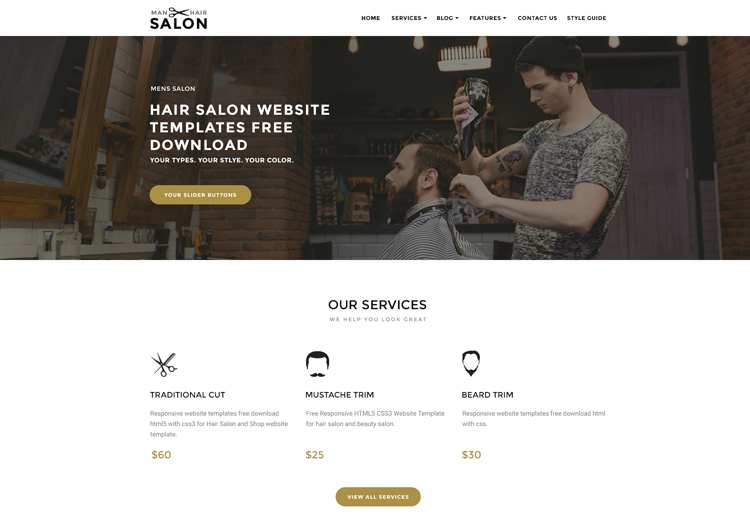 Men’s Hair Salon Bootstrap Responsive Website Templates can be used for any hair-dresser, hair-dressing salons, local salons business. 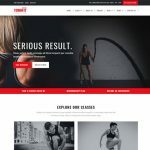 It is FREE DOWNLOAD HTML / CSS Website Template. It comes with functionality, features, flexibility, and variety. If you are a hairdresser and you don’t have a website. Here is the perfect solution for your web presence. 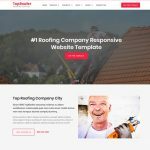 By using this website template you can easily make your hair salon website, and expand your business. Our designer makes perfect matching designs for a hair salon. 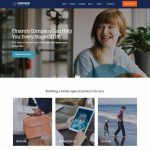 You can easily customize it and make your own professional website. So, now no need to hire a professional web designer. Just Download it!!! Of Course, being a hairdresser is the special business and skill. But in the industry to grow your business and get a targeted customer you, having a business website is necessary. Men Salon Website Template has important features to make a perfect professional business Website. It is the creative Website Template with fully mobile friendly and responsive design.